These days, non-traditional media is almost moreÂ ubiquitous thanÂ traditional. Some see it as advertising bleeding beyond its normal, permissible boundaries. OthersÂ love the fresh creativity, and reward the marketersÂ for their unique and attention-capturing innovation. 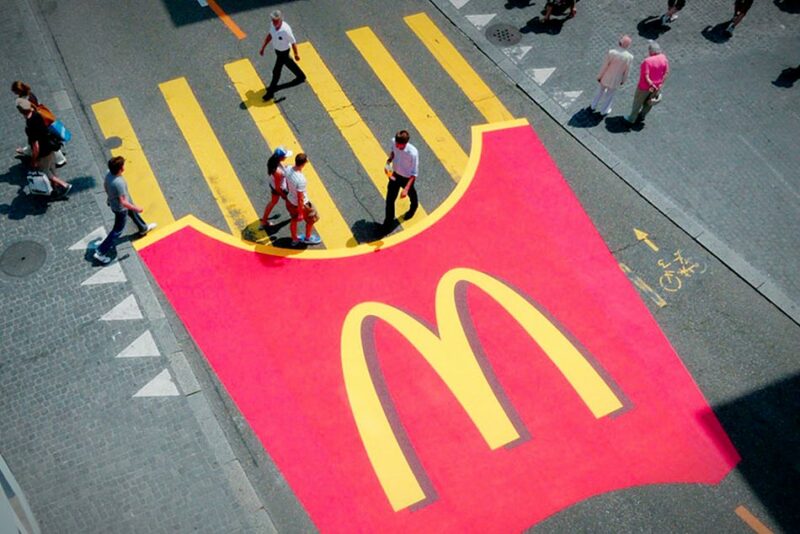 Whatever your opinion, guerrilla marketing is here to stay. And in some cases, the ideas themselves are so captivatingâ€¦soÂ endearing, we have to admit our marketer’s envy. WhetherÂ peddlingÂ beer or providing warmthÂ for the homeless, let’s take a look at a few of our favorites. With the tagline Start Exploring, Valentin&Byhr wanted to increase traffic at The Swedish Exhibition & Congress Centre for their client Nordic Outdoor. Let’s just hope there was an extra entrance on the roof. Social welfare charity Caritas charged DDB Tribal Vienna in Austria to raise awareness for the plight of the homelessâ€”especially after their recent eviction from the Viennese City Park. By inserting a Euro, people gave the gift of warmth. Both to those in need, and themselves. Had a rough day? Why not grab a beer on your way home? Sepia, a Chilean agency, created this thirst-motivating guerrilla install for client Baltica Beer. Don’t mind if we doâ€¦we’re not driving. Want to see more great ads? Check out our post on Oreoâ€™s Birthday campaign, or see how to make packaging turn heads.